This show is available for all POST Wrestling Café patrons – visit Patreon.com/POSTwrestling to download OR check your podcast app if you have subscribed to the RSS feed provided to all members. 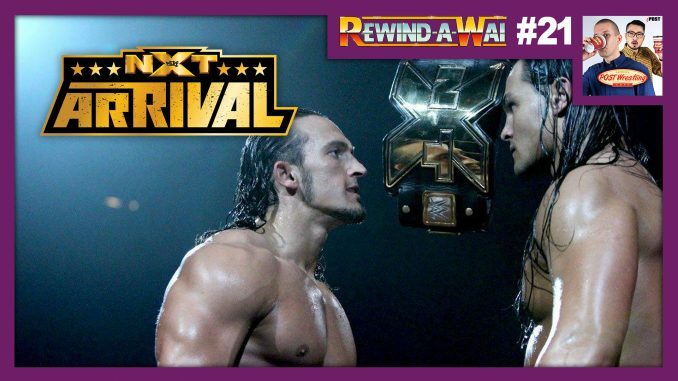 John Pollock and Wai Ting review the first live special on the WWE Network with the NXT Arrival card from February 2014 just days after the launch of the network. On this show, Bo Dallas defends the NXT title against Adrian Neville in a ladder match, Paige meets Emma for the Women’s title and a tremendous match between Antonio Cesaro and Sami Zayn. We discuss the legacy of this show, the change in tone from the main roster in 2014 and Paul Levesque’s influence. This edition of the Rewind-A-Wai is presented by Espresso Executive Producer, Mike King. Watch the full show on WWE Network here (account required).